The MVRHS girls soccer team started off the week’s action by entertaining strong sides from North Quincy and Bellingham, Thursday and Friday. Although the girls failed to score, new head coach Richard Bennett was generally pleased by what he saw on the pitch. 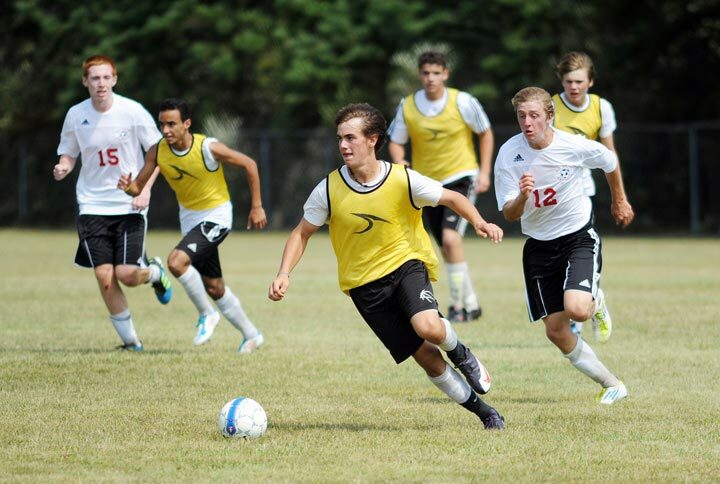 The team tried to work on fundementals and increase posession by executing a lateral passing game. Coach Bennett said that facing such quality oppostion is good preparation for the regular season and helps to point out where the team needs to improve. Coach Bennett also cited the play of freshman goalkeeper Mariah Duart, who made several fine saves over both matches. The Vineyarders, who have seven returning seniors, open the regular season Thursday at Mashpee. Coach Damon Burke’s Vineyard boys squad hosted perennial Connecticut powerhouse E.O. Smith of Storrs on Sunday. The home side took their lumps in the first half, falling behind 3-1 by the break. Jacob Lawrence scored for M.V. The second half was a different story. The teams traded two goals each. The Vineyarders played more aggresively and were able to mount some pressure on the counterattack. Jacob Lawrence notched a second goal 20 minutes in and Jack Roberts converted a penalty kick to make the final score 5-3. 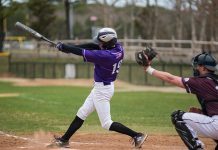 The boys played their season opener in a late game Wednesday in North Eastham against Nauset. They host Dennis-Yarmouth in the home opener, Friday at 3 pm. Martha’s Vineyard scrimmaged with the Brighton High Bengals on Friday. No official scoring was recorded, but the Vineyarders, Tyler Araujo in particular, were able to run the ball effectively. Heading into the scrimmage, Coach Donald Herman looked at his team as a work in progress and used the contest to liberally experiment with personel. “At the end of that last scrimmage, the Brighton scrimmage, we think that we have people in the right places and the right positions that will give us the best opportunity to be successful,” Coach Herman said. 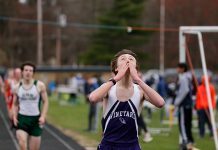 The Vineyarders will be tested immediately in their season opener, on Friday night in Mattapoisett, against the tough Old Rochester Bulldogs. M.V. plays its home opener on Saturday, Sept. 17, at 1 pm against the St. Mary’s Spartans of Lynn.